Zoltán Szabó, PhD in environmental economics, is sustainability advisor in the bioenergy industry. He has experience in public administration, research, NGOs and business, working toward reconciling climate, energy, transport, agricultural and environmental policies. 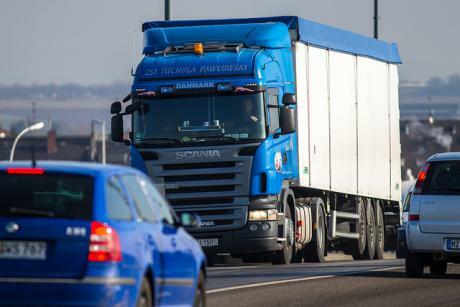 Transport is on course to become the largest source of greenhouse gas (GHG) emissions in the EU. While the largest emitting sector, electricity production, is greening relatively fast due to energy efficiency and deployment of renewables, transport is becoming more carbon intensive by the day. When oil price dropped, drivers drove more, so energy consumption has begun to rise again, inevitably leading to higher GHG emissions. Data for 2014 already reflects this trend. Transport is a unique sector, the most backward in terms of decarbonisation achievements and prospects. It needs to be decarbonised. How to decarbonise transport? Does Europe have an answer? The European Commission has had its say; it recently published its Communication on transport decarbonisation. The document is called as a strategy. Electrification is all the hype. Tesla has made it possible to now have a vision of electric cars a few years back was unthinkable. Together with driverless cars and Uber-like services, electrification offers radical transformation of everyday transport. Few question the future of transport: all electric. Great that we now have a vision. No doubt, electric cars will bring GHG emission reductions, the only question is when? The EC decarbonisation strategy communication offers some clue. Not now and perhaps not before that kid you don’t yet have buys her own car to transport her own toddlers. In 2030, electricity is expected to comprise only 4% of transport energy (Figure 7), and will rise to about 16% by mid-century. In essence, the EC communication is an admission that electrification will not deliver much decarbonisation in the next two or three decades. In addition to electrification, the Communication has another pillar of GHG reductions; energy efficiency. Energy efficiency consists of a variety of measures. These are not new, but mostly a continuation of existing policies. Perhaps the most important of them is car emissions standards, that tool that the Commission has wielded so firmly and effectively in the past decade. Regulation requires that cars’ air pollution emissions, as well as CO2 emissions, are gradually reduced. Dieselgate makes it clear that real air pollution emissions are not as rosy as advertised. Yet the same can be said of CO2 emissions, only it has yet failed to grab headlines. A neglected aspect of the VW scandal is that it is not just NOx and particulate emissions that are grossly underreported, but fuel economy figures as well. And fuel economy, or car mileage is directly related to CO2 emissions. Fuel economy figures are found to be as much as 40% worse on average than labeled. As a result, less than half of the on-paper reductions in CO2 emissions since 2001 are real. Since 2010, hardly any real-world reductions in CO2 emission values have been achieved. In other words, cars have not become any more energy efficient since 2010. So the other pillar of the Communication has been a failure, and hardly delivered. A deeper reading of the background document reveals that the EC relies on biofuels big time to deliver GHG savings. This time on “advanced renewable biofuels” produced from wastes (or supposed wastes), agricultural residues and wood, not conventional biofuels, such as ethanol or biodiesel. There is no indication however where the 7% share in total transport energy demand in 2030 or 37% in mid-century to be met by advanced biofuels will come from, especially if wastes (like imported cooking oil) that are not actual wastes are disallowed. Indeed, up to half of the Communications ambitions for all real decarbonisation in the transport sector over the coming decade comes from the interesting hope that Europe will import tens of billions of liters of used cooking oil. Or that the EU will somehow manage to collect the one liter of used cooking that every inhabitant of this planet discards every day (if that were true). Truly advanced biofuels are hardly on the market yet, and their deployment will have to be preceded by investments. And a lot of investments. 50 to 100 billion Euros would need to be invested to meet the demand for advanced biofuels forecasted by the strategy in 2030. Only one such plant exists today in Europe. To put it in perspective, total investments (not counting Commission grants) in advanced biofuels in Europe in the past decade amounted to less than one percent of what investors are expected to kick in under the Communication. It is well known that investors, having been burned by the Commission’s perceived inability to keep promises, as well as the Commission’s inability to articulate policies that reward honest investment more than potentially fraudulent international trading, have little intention of subjecting tens of billions of Euros of their money to Brussels political risk. Today, very few banks in Europe will lend against the Commission’s vision of biofuels, so with no equity and no debt, the only money actually investing in the Commission’s fantasies is the Commission itself. For many years now, there is more Commission money going to advanced biofuels in Europe than private money. Another curious element in the Communication is the set of scenarios. There are eight scenarios and none of them assumes any growth for ethanol. Ethanol is a renewable fuel with substantially lower carbon emissions than oil, when all direct and indirect impacts accounted for. All the background papers and respective modelling commissioned and used by the European Commission shows that ethanol saves GHG emissions. Indeed, under the full carbon accounting rightly pushed by many policymakers and NGOs, now that the dust of Dieselgate has cleared, one of the very few things in Europe that has saved a massive amount of GHG emissions in transport over the past decade is ethanol. So, why there is no scenario that assumes a higher role for this climate-friendly alternative fuel? The reason is simple, the Communication fails to differentiate between climate-friendly ethanol and biodiesel. While ethanol is good for the climate and brings rural development benefits as well, biodiesel, and palm oil-based biodiesel in particular, may be worse than oil. While there are reasons to curb biodiesel use, and palm oil import should certainly be banned, not just for use in fuels but in food and cosmetics to save tropical rainforests, curbing ethanol consumption will result in foregoing climate change mitigation, that is more GHG emissions. An undifferentiated approach on biofuels leads to throwing out the baby with the bathwater. Cars do not deliver as expected, modal shift is not happening fast enough, demand side management is not appealing to the public, electrification is far off in the future, advanced biofuels are fanciful. Ethanol is ignored. What will deliver the necessary decarbonisation? Perhaps it is time to reconsider what delivers and what is just fanciful. The climate needs to be saved now, not in a couple of decades. It is not yet late to act to wean ourselves off oil. The revision of the Renewable Energy Directive offers an opportunity in November this year and the Fuel Quality Directive next year. Electrification is laudable as a long term aim, while in the near and mid-term on-road testing of real car emissions needs to be implemented, a realistic yet ambitious policy framework is needed for advanced biofuels, preferential tax treatment of diesel must go, prices of fossil fuels need to reflect their external costs, and lastly the potential in ethanol will need to be tapped by requiring a reduction of 15% in the carbon intensity of transport fuels by 2030. We only trust that Standard and Poor as well as the other Agencies do not rate the UK Economy and down grade it further as the Japanese are doing.